1. For new home purchases, complete the Buyer Information Sheet and return it to us as soon as possible. Email or fax to Rebecca McArthur. 2. Keep us and your lender apprised of any changes to the sales contract. 3. Notify us of any invoices that need to be paid at the closing. This could include home owner’s insurance or home warranty. 4. Use the Loan Estimate to get a fairly accurate idea of the amount of money you will need to bring to the closing. As your closing date approaches, we will be able to give you a more precise amount. If the necessary cash to close is larger than $2,500.00 then you will need to wire the funds to our account. Please contact Rebecca McArthur for specific instructions and be sure to leave adequate time (24-48 hours) for the funds to reach our account. If the necessary cash to close is less than $2,500.00 you may bring a personal check made payable to Hodge & Temple, PC. Note: the check cannot be made out to yourself. 5. Bring a valid form of picture ID (i.e. Driver’s License, Passport) and a checkbook to cover any small changes to your closing costs. We begin by reviewing the contract and doing a title exam where we pull all the relevant documents for the property in order to review the state of title and determine the steps necessary to transfer clear title to you. This also allows us to issue title policies for both the bank (lenders title insurance) and for you (owners title insurance). We keep in contact with your agent and lender to keep apprised of contract changes and the lender’s requirements as they evolve. 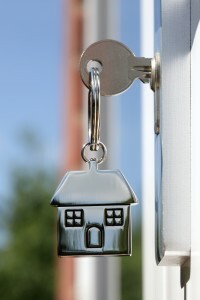 We contact the Home Owner’s Association (if one exists) and property tax office. We review the title and surveys, if applicable, prepare the loan packages, settlement statements, and closing documents. Finally, we sit down with you on the day of the closing and make sure that all of the final figures make sense to you and are what you expected. It is your money involved in this closing and you need a clear understanding of where it is all going. What is Homeowner’s Title Insurance? What is the difference between Standard and Homeowner’s/Enhanced Coverage?